The man was located Sunday. Unfortunately, police must report the man was found deceased in the Nelson area. No further information is being released at this time until the family has been located and notified. The cause of death is not considered suspicious at this time and the investigation has been turned over to the BC Coroners Service. 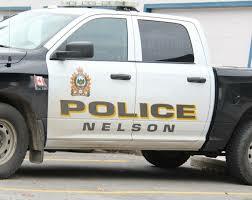 The Nelson Police Department would like to thank the public for their assistance in this matter. In a media release Sunday, Nelson Police Department is asking the public for assistance in the search for Mr. Andreas Pittinger. Nelson Police said Pittinger, a Nelson resident, has not been heard from since the afternoon of February 7, 2019 (Thursday), which, according to his friends, is unusual for him. Has auburn hair and brown eyes. Nelson Police and friends are concerned for the well-being of Pittinger and wish to locate him as quickly as possible.